Submitted by Dan Wilson on November 25, 2018 - 10:39pm. 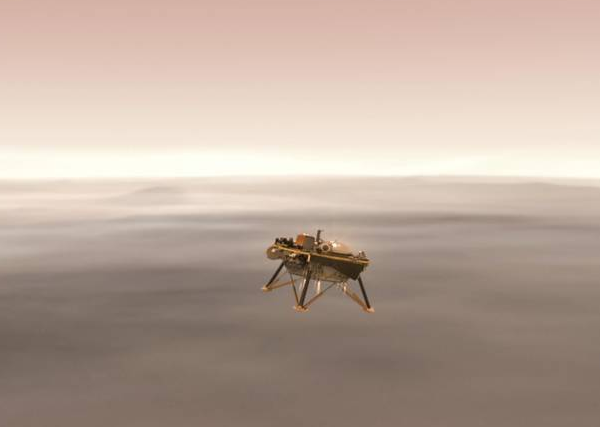 The landing of NASA's Mars Interior Exploration using Seismic Investigations, Geodesy and Heat Transport (InSight) lander can be viewed online at NASA LIVE (https://www.nasa.gov/nasalive). Launched on May 5th, InSight will be the first lander to explore the deep interior of Mars. The two-year mission will help scientists to understand the formation of all rocky worlds, including Earth and the inner planets. The landing can be viewed live at 3PM Eastern. Submitted by Dan Wilson on March 4, 2014 - 3:28am. There are 26 new TV series or season premiers starting in March this year. Here are some of the highlights for 2014. The series premier of “Those Who Kill” will appear on the A&E Network on Monday March 3rd. The pilot follows homicide detective Catherine Jensen (Chloe Sevigny) as she tracks down serial killers. She is also looking for the truth behind her brother’s disappearance. She is joined by Thomas Schaeffer (James D’Arcy) in her quest.